The charming beach resort of Campomarino can be found on the Ionian sea, in the Gulf of Taranto, about halfway between Taranto and Lecce. Fortunately the tourism industry has mainly by-passed Campomarino so far, which means that even in high season the region never seems too crowded. Those who come here are looking for quiet relaxation. 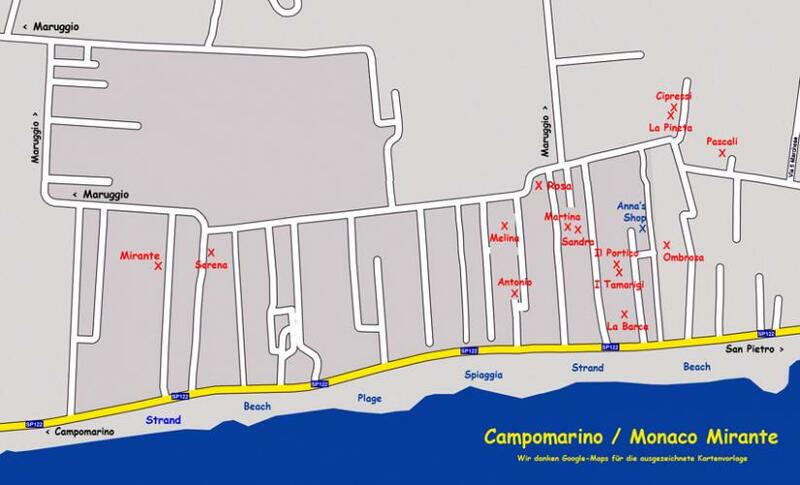 One of the latest additions to Campomarino's offerings is a well equipped sports harbour right next to the fishing harbour. Here you can also find a dive centre, though which you can book day tours by boat. Idyllic roads and dirt tracks in the hinterland, shaded by hundreds of years old olive trees, are ideal for jogging, cycling and horseback-riding. In Maruggio, a typical Apulian small town about 2 km inland, with its friendly and helpful people, you'll find anything you need, in any season. Within walking distance in Campomarino itself you will find a number of restaurants, cafes and shops, which are open throughout the year. Our little holiday paradise lies in the Salento region, the "heel" of Italy and is only a few steps away from one of the most beautiful beaches of the region with crystal clear waters and white sands. 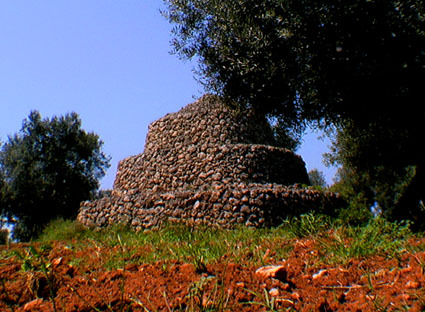 The little settlement "Monaco Mirante" is just 3 km away from the seaside resort and fishing village Campo Marino; both belong to the Commune of Maruggio, about 4km inland. There you find all the shops you might need and the charming "mercato" (weekly market) on Wednesday mornings. The ice cream parlour and café Panna e Cioccolata" in Campomarino is open all year round, and also the Restaurant/Pizzeria "Piccole Ore" only takes a short winter break. Although most other restaurants and bars in Campomarino are only open during the holiday periods, the wider surroundings offer a large selection of excellent restaurants year-round (for example in Manduria, Sava or Oria). By the way, Campomarino has grown a beautiful new pleasure harbour that complements the fishing port. Around about Mid-June "Anna" with her corner shop moves from her base in Maruggio to the seaside and sells everything for your daily needs and is only a few steps away. (Our tip: Order her homemade pasta, that she prepares every day). Spring in Monaco Mirante: a world of marvellous experiences, a rural retreat. No hotels in sight. Out of high season you are only likely to meet farmers who are tending to their fields where they grow mainly vines and olives, but also vegetables and scrumptious figs. On the weekends you might encounter the local families who come together on the beach and unpack their pasta and panini for lunch, but for most of the time the beach will be all yours. 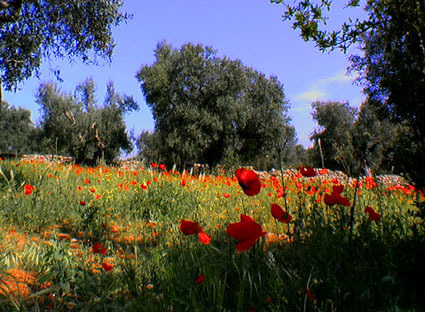 Incidentally, I photographed this poppy field around Easter time just next to our holiday houses. In July and August the other houses in Monaco Mirante slowly fill with life and the true Italian holiday spirit spreads. You might catch a few gentle guitar notes on the evening breeze, and see the youth spending the evenings on the beach or at the ice cream parlour of Campomarino. Monaco Mirante is surrounded by sand dunes. 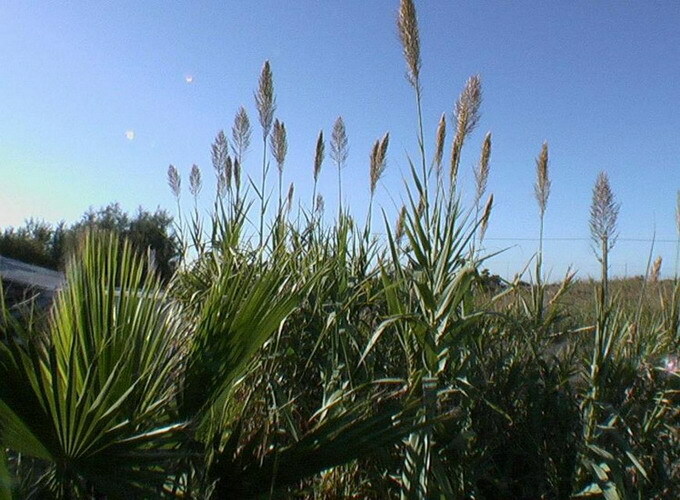 The "Dune di Campomarino" and the whole coastline are part of a nature reserve. The path from your holiday home through the dunes to the beach passes dense juniper bushes, bamboo plants and old agaves. 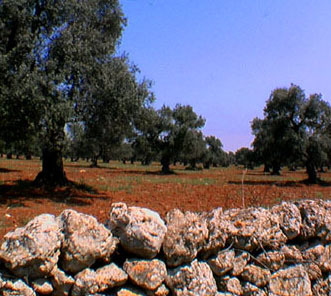 Rich red-brown fields begin inland from the coastal dunes; here grow mainly olive trees and vines. But the local farmers also cultivate many vegetables and fruits, which they sell in the mornings at the Piazza San Giovanni in Maruggio. Jump on one of our bikes and take a ride through the narrow and calm inland roads that are flanked by the traditional dry-stone walls still built with stones collected from the surrounding fields. Admire the mystical forms of ancient olive trees lining your way and treat yourself to an ice cream once you reach Campomarino. 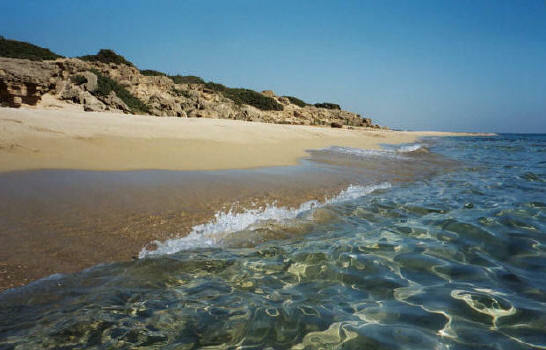 The wonderful natural white sand beach is only a few minutes walk from all our houses. You can easily carry your sun umbrella, sun loungers or anything else you might require for your stay at the beach or your swim in the water. Of course, we provide our guests with beach mats, sun loungers, umbrellas and beach towels for free. The beach is completely natural. You won't find orderly rows of sun chairs or a beach bar here! Nevertheless, there are bins along the beach that are emptied daily in high season. Additionally, you will find large refuse bins and recycling containers for plastic and glass along the beach road and inland streets towards Maruggio all year round. To travel here we recommend using Brindisi or Bari airports (about 50 or 100 minutes drive respectively). Direct flights are now widely available from many European airports. Alitalia flies to Puglia via Milan or Rome. The larger regional train stations are Taranto, Brindisi and Lecce. The closest station with a direct connection to Rome is Francavilla Fontana (25 km). When arriving by car we advise using the comfortable Adria-motorway Bologna-Ancona-Pescara-Bari-Taranto. It is useful to have a car unless you really want just a beach holiday. All the well-known car rental firms have desks at Bari and Brindisi airport. However, shopping in Maruggio or Campomarino can be easily done using the bicycles we provide free of charge. If you would like we will pick you up from the airport. Those who want to can rent our two scooters.